Think about the things that keep people from bicycling these days. Fear of traffic. Fear of injury. Of looking awkward. Of the equipment. Of being left behind. Discomfort. On what do most bicycle advocates focus? Bike lanes, new laws, and helmets. None of the three do much to reduce those fears, and to a significant extent they increase them. Let’s start with helmets. A little perspective would be nice. According to the Florida Department of Health, three times as many pedestrians, three times as many motorcyclists, and ten times as many automobile passengers suffer brain injuries as bicyclists do each year. Florida bicyclists suffer between 80 and 90 brain injuries per year. We account for about six percent of traffic-related brain injuries, and three percent of all brain injuries. European nations have very low helmet use, but much lower bicycle fatality rates than the USA and especially Florida. But we act as if bicycling were the primary cause of brain injuries and berate people for not wearing helmets. New laws. “We’re special. We deserve special protection.” Some advocacy groups have either managed to or attempted to pass laws to increase penalties for motorists who kill or seriously injure “vulnerable users” such as bicyclists, pedestrians and motorcyclists. Well “why?” one might ask. Is the rationale for such a law, “We deserve special justice because we’re at such high risk?” Once again the underlying message is, “Bicycling (and walking and motorcycling) is risky.” While the laws usually cover all “vulnerable users,” it is bicyclists who take the prominent role in pushing them. Imagine a wife who enters a courtroom to watch the case of a careless (not reckless) motorist who caused the death of her husband, who was in a car the defendant ran off the road. The guilty driver gets a fine of a couple hundred dollars and a few points on his license for careless driving. But the wife learns that in the previous case in that courtroom, a driver who killed some other woman’s husband who was on a bicycle was fined a couple thousand dollars, had his license suspended, and was required to do community service. Should she feel it was fair because the other man was on a bicycle? Now add into this picture the high percentage of bicyclists who run red lights and stop signs, drive at night without lights, or ride in large groups that sometimes back up traffic. This group deserves special justice? Both helmets and bike lanes offer some positives while simultaneously contributing to fear, and they don’t necessarily add to the fear level for everyone. We just need to first realize how they add to fear, and weigh that against potential benefits. Some new laws might be useful, but they must seen as fair by all. B. Is done by a minority who believes they deserve special justice, even though they often violate the law. The efforts of many advocacy groups are strengthening this belief. Not only by focusing on bikeways, helmets and special laws, but by prominently featuring bicyclist deaths in their communications: covering the stories in newsletters; putting up “ghost bikes;” holding “Rides of Silence.” Certainly we should honor our friends who have been killed on our roads, but let’s figure out a way of doing it that doesn’t reinforce the belief that cycling is exceptionally risky. Because cycling is not very risky. The average bicyclist – and this includes all those ones who ride in a less-than-competent manner – will travel about 4 million hours before experiencing a fatal crash. That is equal to 456 years of non-stop cycling. Cyclists who follow the basic rules of the road will travel significantly farther before a fatal crash. But we focus way too much on these rare crashes, instead of on the hundreds of millions of miles cyclists travel every year without incident. How exactly are these common strategies increasing cycling? Scare people with stories of doom and gloom, and attempt to use the law to force governments and individuals to do things they don’t want to do. The solution is to help people to see bicycling as safe and personally rewarding. Nordhaus and Shellenberger’s alternative “politics of possibility” points us in the right direction. It is based on five key experiences all people find rewarding: Flow, Service to Others, Self-Mastery, Belonging and Fulfillment. Flow is of course inherent to cycling. But the “flow” they are talking about involves challenge and mental engagement. Truly enjoyable flow requires just enough challenge to be interesting, but not overwhelming. Vehicular cycling in urban traffic fits this perfectly. We also need to apply flow to our education programs. They are often too classroom- and lecture-oriented, and don’t spend enough time on the bikes. Bikeways can sometimes interrupt flow, so we need to plan and design them carefully. Service to Others is something the bicycling community needs to do better. It’s certainly true that many cyclists participate in rides to raise funds for a variety of charities, but few events have the kind of direct service Nordhaus and Shellenberger mean. In Orlando we’ve seen some good examples. In the Parramore Kidz Zone Pedal 4 Pride ride, club riders help underprivileged kids learn to ride properly. The local allycat racing folks put on a race which included buying and hauling groceries for the needy for Thanksgiving. Earn-a-bike programs are making new community connections across the nation. I’d like to see “street spam” (all those illegal advertisements littering the roadsides) clean up rides. Imagination is needed. Self-mastery is also a natural aspect of bicycling, but we often fail here, too. Self-mastery often requires some hand-holding in the early stages, but too often bike clubs do not serve the needs of novice cyclists. I’ve heard too many stories of people who went to one club ride and gave up, or were just too intimidated to even consider trying. Too often we’re asking new riders to climb a much-too-high first step. Shimano tried to address this through bicycle design with their Coasting components, believing that a bike which shifts on its own and has a simple coaster brake would bring more people into cycling, but they forgot to take the human factors into account. The bike worked against self-mastery in the opposite way; there was nothing to master. Note that the Coasting line has quickly gone the way of U-brakes and BioPace chain rings. Too many “bicycle advocates” in academia insist people don’t want bicycling to be an effort; that training and practice are somehow anathema to cycling. People don’t hesitate to take lessons for a wide variety of activities; what is so special about cycling? Some say, “Well, we all learned to ride bikes when we were kids. What do we need to take lessons for?” Yet their bikes stay in their garages gathering dust. The bikeway side argues that these people are waiting for the bikeways to be built so they can “feel safe.” (Never mind that the data from Europe shows those facilities have higher crash rates than shared roadways.) 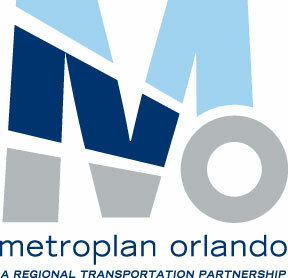 Metro Orlando now has over 90 miles of trails and over 400 miles of bike lanes and paved shoulders, up from virtually zero in 1995. Where are the cycling hoards? No doubt waiting for the million-dollars-per-mile barrier-separated bikeways; a $1.5 Billion project if applied to Metro Orlando. Keri Caffrey and I taught vehicular cycling to a group of teens this past spring. One girl, perhaps 12 years old with minimal cycling experience, was having trouble just keeping the bike moving in a straight line, but with some one-on-one coaching from Keri, she made great improvements. By the end of the day she was confidently cruising down four-lane Robinson Street in downtown Orlando in full control of the right lane, bridging from the “slow-poke” group to the faster kids. As she rolled up to the back of the lead group she was absolutely beaming. We can make people feel safer now (and actually be safer, too), on nearly every road. The sense of Belonging is achieved by those who make it up enough steps to keep up with the club riders. But we are not offering enough opportunities for everyone to be part of a community of bicyclists. Critical Mass does this; the need to belong is a huge part of its growth. Sociologist Robert Putnam explored the lack of social capital – the lack of strong social ties – in modern American cities, and especially in suburbia. But there is also a “strength of weak ties,” which Richard Florida discusses in The Rise of the Creative Class. Increasingly people have many weak ties in their communities instead of a few strong ones. Bicycling lends itself well to this, and we must take advantage of it. Social networking sites have enormous potential for us, if we learn to use them. 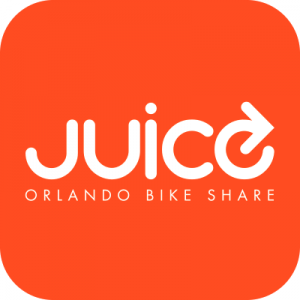 For example, there are 101 members of a Facebook group supporting an urban mountain biking park under I-4 near downtown Orlando, and this park is nothing but a dream for the moment. Most importantly, Belonging for cycling must mean anybody can participate, no matter what kind of bike, what attire, how fast or slow. Not just weekend mornings at 8:00 a.m., but weeknights, mornings, afternoons too. It’s not a 9-to-5-Monday-thru-Friday world any more. Paved trails can act as “bicycling nurseries,” but we must help people move beyond the paths for the sense of Belonging to meet its full potential. Cycling has great Fulfillment potential. Just ask anyone who was unhealthy, overweight, depressed, or otherwise feeling inadequate who took up cycling and found themselves living a more positive life. That’s why people stay with it. If we strengthen those four previous factors the Fulfillment quotient will grow even larger. It’s not that “only certain people can be capital B Bicyclists.” We just haven’t done a very good job as a community of helping more people get there. Ultimately it comes down to what story we will tell about ourselves as a community. It’s not that one story is “right” and the other is “wrong.” Or that these are the “only stories.” The real questions are, “What collective story do cyclists want to live by?” and “What kind of story will get us to where we want to be?” A story of limits and tragedy, or a story of personal growth and freedom?